Hendon Way Motors offer competitive rates on finance packages with major finance houses involving lease purchase deals and high residuals on all the vehicles in stock, subject to status. Hendon Way Motors has available a 24 months mechanical breakdown insurance plan via Cornhill Insurance giving unlimited claims up to the price of the vehicle and for an unlimited mileage. Hendon Way Motors are able to offer ultra competitive rates on freight forwarding, whether it is by sea or air, for all our customers in the United Kingdom and throughout the world. 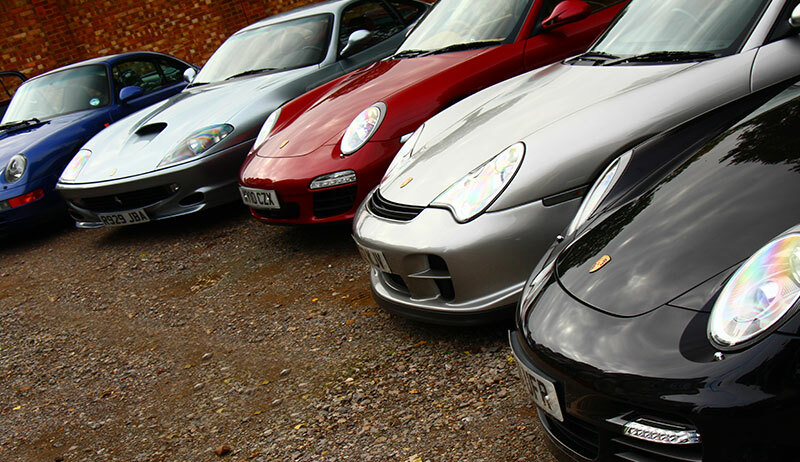 If you would like to sell your Porsche, Ferrari or Jaguar E-Type through Hendon Way Motors, please click here for details.